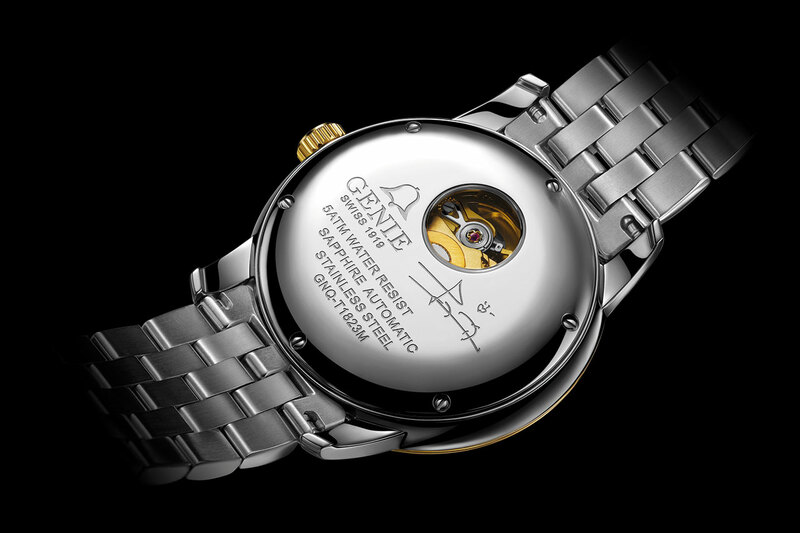 Established in 1919, Genie never tires of giving new faces to time. 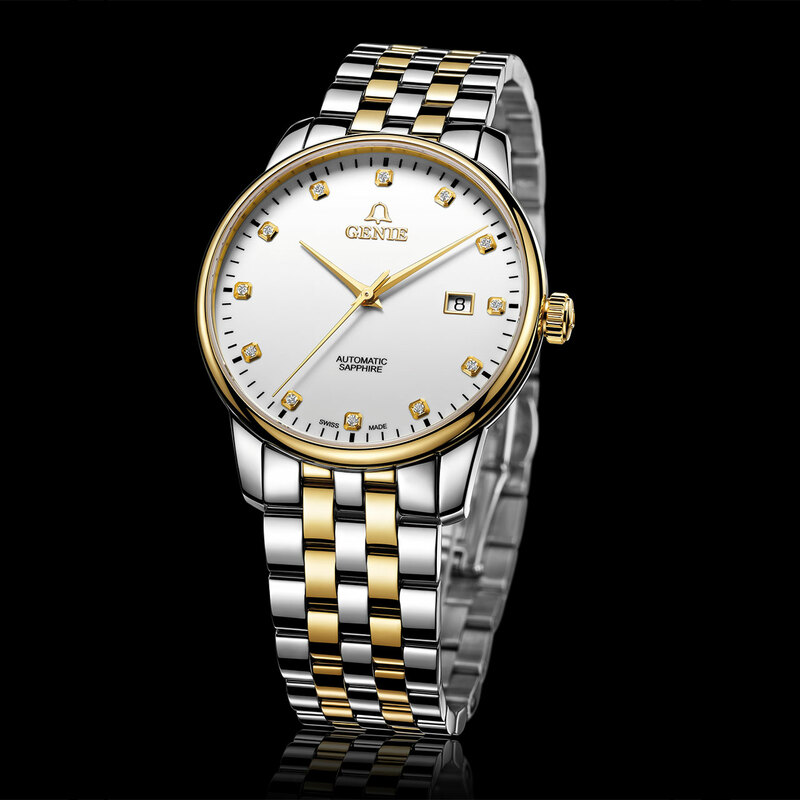 Its latest model is dedicated to the Chinese actress, and brand ambassador, Li Xiaoran. Sobriety prevails in this three hands and date timepiece. The gold-tinted hands and yellow gold-plated bezel are echoed in the complementary colours of the bracelet. Twelve diamonds accentuate the applied hour-markers. However, the true personality of this watch is revealed by its screw-down back. A cutaway detail at 12 o'clock offers a glimpse of the automatic movement and, just below, Li Xiaoran has signed her name, transforming this watch into a collector's item for the star's fans. With many more surprises to come, this is a partnership destined for greatness.